Billy Idol. Norah Jones. Sheryl Crow. Hairstylist and makeup artist Mitzi Spallas has worked with all of them and more! Find out how she first became interested in beauty, the skincare product she can't live without and so much more after the jump. I'm from a small town called Fond du Lac, Wisconsin. I was a proud member of "The Monkees" fan club [as a kid], and when I was sent home from 2nd grade (in the early 60's) because I was wearing white go-go boots and my skirt was too short, I realized then what an effect clothing and fashion had on others. Looking back, I remember that I was also sent home in 4th grade for my culottes being too short, in 8th grade in the late 60's for wearing a tie-dyed halter top to school, and was teased for wearing all black in high school in the mid 70's! I didn't go to beauty school right away. I told my mom that I wanted to go to the "school of life" rather than college. And that I did. Until I realized that I didn't want to be a cocktail waitress the rest of my life, so I moved to the Midwest to start my career. Little did I know then where it would lead! How did you first become interested in beauty, and what led you to become a hairstylist and makeup artist? I had always been interested in beauty and fashion, and I loved wearing and collecting vintage clothes. When I left home in the late 70's and moved to Boulder, and then San Francisco, I was asked to do a bit of modeling (hair salon, small magazines, et cetera.). However, I was too short and not really comfortable in front of a camera to want to do that. Yet I still wanted to somehow be involved in this world. And of course, as in the majority of makeup artists bios that you read, I was completely fascinated with watching my mom and older sisters getting dolled up at night to go out. My mom loved wigs, Pucci dresses and fake eyelashes. My older sister sported a platinum "Sassoon" bob in the 60's, and wore bright orange lipstick and cutout dresses. How could I have ended up doing anything else? I moved back to Wisconsin to go to cosmetology school in the mid 80's. After I graduated, I worked in the only "punk rock" hair salon in Oshkosh and went to my first hair show. That weekend I knew that I was eventually going to be a platform artist. I moved to Connecticut and became one of about a hundred of very talented stylists around the world who worked for a product manufacturer called Zotos International. After several years I moved up the ranks, becoming one of the five members of the highly-regarded "Artistic Council." We were the ones who determined the next-season's hair trends and invented the haircuts/styles to go with them. I eventually moved to L.A. and continued to work with them. During one of these shoots, I ended up doing the makeup because they didn't have a makeup artist. The photographer that shot the photos then called me back to work on another shoot with him, and from then on, I started doing photo shoots, videos and commercials. I started out in the freelance business working with Billy Idol. One of the firsts jobs I did with him was when he was in The Who's Tommy in L.A. I ended up also having to do Phil Collins' makeup. That was so exciting for me, because I had just met Billy and had never been so close to so many famous people, especially musicians. It was incredible. Then I traveled the world with Billy on tour and experienced a life that most people only dream about. Other great moments include working Sheryl Crow on her first video, and my assistant and I doing SO many people, plus Sheryl. It was out in the desert, and we created several flying Elvis's, Las Vegas Showgirls, Old Vegas babes with bright red wigs as blackjack dealers, and a slimy guy who picks Sheryl up in his convertible. We did hair, makeup, special effects makeup and wigs. It was a lot of work, but so much fun! Winning an award for Best Hairdresser from the first annual Lucie Awards, which was voted on by the International Photographers Association, was also an incredible highlight in my career. I was up against my hairdressing idols, and honestly don't know that I deserved it over them, but it certainly was quite an honor. 1) CLARISONIC Sonic Skin Cleansing System. Gets my face SO clean that I realized my face had never really BEEN clean all of these years! It's truly incredible and I recommend it to everyone. 2) Prescriptives Vibrant-C Skin Brightening Eye Cream. Not only does it reduce puffiness (caffeine), but because of the mica in it, also brightens your eyes the minute you use it. Whenever I use it on an actress in the middle of the day, everyone notices that she looks like she just took a nap! 3) Moroccanoil! I LOVE this product. It works with every hair type. It's amazing and will change your life. Not only will it add shine, but also control for curls or frizzes on straight hair. It will also give the hair body, as long as it's not overused. 4) Dry Shampoo. It is so great for adding body to fine hair. I remember when PSSSSSST first came out and my sisters used to use it every day in high school on their bangs when they would get greasy and they didn't want to shampoo their hair. Who would have guessed that 30 years later it would be back on the shelves! 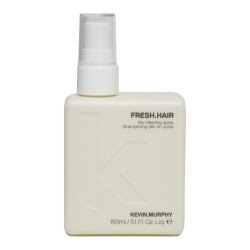 I like Kevin Murphy's because it's nice and light and doesn't make your hair white! 5) ANYTHING DIOR! I love Christian Dior mascara (Diorshow), eyeshadows and foundations. I almost want to get a job at a makeup counter just so I can have my entire kit filled with Dior makeup! 1) Always blot your face with blotting sheets or tissue after applying moisturizer and foundation. It won't move on your face, and you absorb any excess oil if you are going to powder. The worst thing to do is to apply powder to damp skin. It WILL get cakey. 2) When applying foundation, always start in the middle of your face and blend outward. By the time you get to the outside of your face, you should barely have anything on your fingers or sponge or brush. That way you are guaranteed to not have that mask-like look. Usually people only need foundation in their T-zone anyway. 3) Don't use too much powder! I still am not quite sure why mineral powders became so popular, other than the fact that it seems easier for people to apply. It looks good on girls with no pores and nice skin. But put it on someone over 30, or someone with less than perfect skin, or God forbid, large pores, and that pretty, natural look you are going for is G-O-N-E and you are left with a dull, matte complexion that makes you look older than if you wore nothing at all. And what are your top 3 hair tips? 1) Don't be afraid of using product in your hair! SO many men and women with fine hair feel that product weighs their hair down. It will do that if you use the wrong product, but the right one can add diameter to each strand of hair, creating overall thickness. 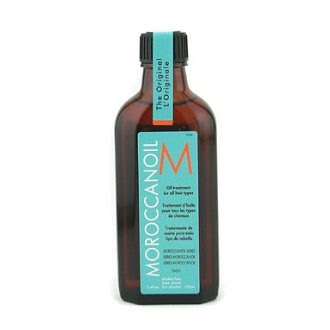 Also, ANY hair other than super thick hair can benefit from having the correct product in their hair -- [it] can make the hair go from lifeless to WOW, and keep it staying that way all day or night. Sometimes I tell my clients that their hair is going to look even better at 2am than it does when I'm finished, and they never believe me. When I go back the next day, they always tell me I'm right! 2) Layer your hair products. Don't just apply everything at once. 3) Keep up with your hairstyle. I know the economy is bad and times are tough, but I'm amazed at how many people let their roots grow 4 inches before they see their stylist! Or their haircut is 8 months old and so ratty on the ends that it looks like the dog's been chewing on it. If you're not in a good financial position, tell your stylist. I'm sure there are more people like me who are always willing to cut you a break in the price. If not, I would find someone else to go to! I love what I do, but I'm also interested in SO many other things that I never seem to have time to do everything. Right now, I'm building my own website (myself), building one for my hair salon, keeping up with my French lessons. I LOVE gardening, going to art galleries with my husband (who is an incredible artist), and I love traveling. (I just returned from Greece where a client brought me to cut and color his hair). I try to hit as many museums as I can when I travel, too, as I'm on my own a lot). I know, poor me! I love my life! I also love hanging around with little kids, so being with my nephews is also at the top of my list. I just don't get to do it enough. Mitzi is repped by Cloutier Remix in L.A. She also works at Works of Art Hair Studio in Los Feliz.